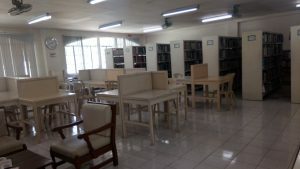 The collection on medical books both foreign and Filipiniana, general references and journals. Medical research studies, non-print resources and on-line databases like ProQuest are also included in the collection. Models and charts are part of the collection. 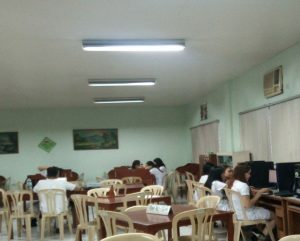 Medical Satellite Library is located at the Health Science Campus at Corazon Locsin Montelibano Memorial Regional Hospital for easy access of Medical and Nursing students in doing their research. The collection includes medical references, health science books, medical and nursing journals both foreign and local. Students are allowed to borrow the library resources and they are for room use only. Only faculty members are allowed to loan the library resources.